In this article, we discuss new research on the clinical benefits of Platelet Rich Plasma Therapy (PRP). Sometimes PRP is referred to as PRP Therapy, PRP injection therapy, plasma replacement therapy, or simply PRP shots. Before continuing on with this article, would you like to ask a question about Platelet Rich Plasma Therapy? Send an email to us. PRP therapy is like the kickoff in a football game. It starts the healing cascade to the local tissue. Nothing in the body heals without inflammation…nothing! PRP treatment re-introduces your own concentrated blood platelets into areas of chronic joint and spine deterioration. Your blood platelets contain growth and healing factors. When concentrated through simple centrifuging, your blood plasma becomes “rich” in healing factors, thus the name Platelet RICH plasma. Platelets play a central role in blood clotting and wound/injury healing. The procedure and preparation of therapeutic doses of growth factors consist of an autologous blood collection (blood from the patient), plasma separation (blood is centrifuged), and application of the plasma rich in growth factors (injecting the plasma into the area.) In our office, patients are generally seen every 4-6 weeks. Typically three to six visits are necessary per area. Although the application of Platelet Rich Plasma has been around for decades, the treatment has become a more recent option for doctor and patient. “Chronic complex musculoskeletal injuries that are slow to heal pose challenges to physicians and researchers alike. Orthobiologics is a relatively newer science that involves application of naturally found materials from biological sources (blood platelets), and offers exciting new possibilities to promote and accelerate bone and soft tissue healing. As PRP gains popularity and more research validates its usefulness and reliability to patients, it is important to remember that PRP is just one proliferant available for the regenerative injection therapy. At Caring Medical and Rehabilitation Services we use numerous regenerative treatments depending on the severity of the pain or injury. This includes dextrose Prolotherapy, PRP, and stem cells from bone marrow or adipose tissue all provide regenerative therapy that is effective and safe, leading to permanent healing of chronic pain and sports injury. PDGF (Platelet-derived Growth Factor) initiates connective tissue healing through the promotion of collagen and protein synthesis. glial cells (protects nerves) and chondrocytes (the stuff cartilage is made of – see my article on Extracellular Matrix). The most important specific activity of PDGF is the creation of cartilage. VEGF (Vascular Endothelial Growth Factor) is the major regulator of vasculogenesis and angiogenesis and playing an important role in tissue regeneration. It does so by creating new highways of blood vessels for the healing factors to get to the site of the injury. PRP has been shown effective for labral tears of the hip and shoulder labrum tears, as well as degenerated meniscus and meniscus tears. The scientific literature is full of reports of soft tissue injuries treated with PRP including tendinopathy, tendinosis, acute and chronic muscle strain, muscle fibrosis, ligament sprains, and joint capsular laxity, in addition to various degenerative disorders in your joints. Especially exciting is PRP’s use for regenerating cartilage. Most recently research has shown PRP to be an effective treatment for knee osteoarthritis. This is the basis of Orthokine, a PRP “product” that reduces inflammation and tried by athletes such as Kobe Bryant and Alex Rodriguez. The treatment has limited appeal because it is only an anti-inflammatory and does not promote healing. 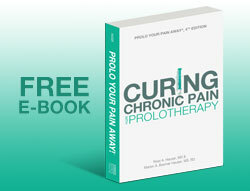 In this case, PRP formulas manipulated to act as anti-inflammatories are not helpful for long-term healing. A patient will often explore non-surgical methods of joint repair after they have been to a doctor that is recommending surgery. When they return to that doctor with questions about PRP they may hear that PRP is unproven, doesn’t work, no research to support it. This entire article shows you the research that is supportive. I will also show you research that is not-supportive and why. PRP treatments are easy to learn. They are after all injections. If your doctor is experienced in giving cortisone injections, they will be experienced in giving PRP injections. But is this true? Cortisone is a single injection, PRP’s best chance to work to its maximum benefit is when it is offered as part of a comprehensive program of joint healing. That means more than one injection. 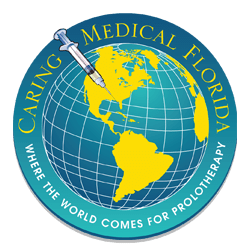 At Caring Medical and Rehabilitation Services we off PRP treatment as part of a comprehensive Prolotherapy program that treats all of the knee. Ligaments, tendons, cartilage, the entire diseased and dying knee joint. The lack of standardization is discussed in the medical journal Odontology by researcher Tomoyuki Kawase of Niigata University in Japan. Platelet Rich Plasma Therapy is very promising BUT calls for a standardization for doctors who want to use Platelet Rich Plasma Therapy (PRP) in the treatment of chronic joint pain. This research and similar papers indirectly and clearly suggest that Platelet Rich Plasma Therapy results will vary depending on the level of experience and training the doctor has in utilizing PRP. Platelet-rich plasma has been widely investigated and applied to regenerative medicine. PRP use is supported by evidence that PRP contains high concentrations of platelet-related growth factors and normal concentrations of plasma-derived fibrinogen, both of which contribute to the regenerative process. Additionally, its superior cost-efficacy versus conventional therapies is attractive to many clinicians. Doctors in Italy at the Rizzoli Orthopedic Institute and the University of Bologna expressed concern over the lack of standardization among doctors using Platelet Rich Plasma Therapy in their study. The researchers do acknowledge that the role of PRP in bone, tendon, cartilage, and ligament tissue regeneration has been shown in numerous preclinical studies published within the last 10 years to have delivered very promising results but many key questions remain unanswered and controversial results have arisen. Has the ability to heal, and is given the best ability to heal by use of concomitant use of growth factors found in dextrose Prolotherapy, Bone marrow prolotherapy, and adipose fat cell therapy. For PRP to have its maximum healing benefits, in many cases it must be combined into a whole joint treatment. 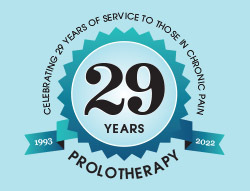 What the researchers are calling for are protocols that are used at Caring Medical every day and based on over 25 years of clinical experience in Prolotherapy and regenerative injection therapy and well documented in our own studies. 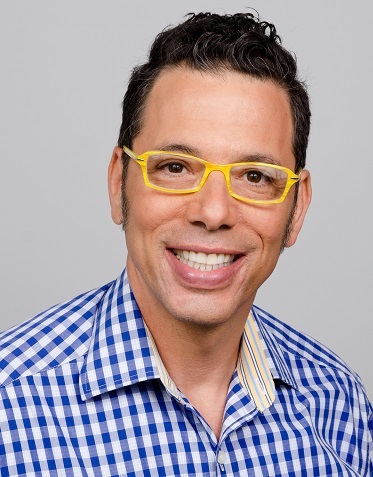 Unfortunately, like many new and upcoming treatment modalities, there are good and not-so-good uses of the technique. Some physicians are rapidly jumping on the PRP bandwagon without having much injection experience or without any knowledge except for a weekend course in the use of PRP. Prolotherapy is a specialized medical technique. It not only involves being able to choose the right proliferant for the patient’s particular pain complaint, but it also involves making a proper diagnosis, and then fully treating the injury. This is what we call Comprehensive PRP Prolotherapy. Researchers at the University of Connecticut set out to discover how different Platelet Rich Plasma Therapy (PRP) methods affected human muscle, cell, and bone tissue.9 They sought to recommend a standardized platelet concentration (the optimal amount of blood platelets reintroduced into the arthritic joint). They found that PRP helps bone, muscle, and tendon cells proliferate no matter the cell concentration level. This proliferation leads to the healing of damaged tissue and curing of chronic pain and injury. This study looked specifically at osteochondral lesions of the talus bone of the ankle. 29 patients age 18-60 participated in the study and they received either Hyaluronic Acid injections or PRP injections. While both Hyaluronic Acid and PRP decreased pain scores and increased function, PRP had significantly higher scores. Given that the traditional treatments of immobilization, bracing, and NSAIDs are often unsuccessful, the researchers were encouraged by these results, especially given that surgery is the only other option once conservative treatments fail. For more research please see our article: Can osteoarthritis bone damage be repaired with Platelet Rich Plasma? Please see the research and clinical application of PRP for Knee Osteoarthritis, the page is frequently updated. If you already had a surgery and are having continued issues with joint pain, please see Platelet Rich Plasma Therapy after surgery. If you had meniscus surgery we have this article PRP after Meniscus surgery. Researchers from the Rizzoli Orthopedic Institute in Italy published their findings in the American Journal of Sports Medicine which showed intra-articular PRP injections offered a significant clinical improvement in patients with hip osteoarthritis without relevant side effects.17 Interestingly when the same doctors added hyaluronic acid to the PRP treatment, no difference in successful outcome was found. The PRP worked just as good by itself. In this research, they looked at 19 patients with lumbar facet joint syndrome (8 men, 11 women between the ages of 38 and 62) who received lumbar facet joint injections with autologous PRP under x-ray fluoroscopic guidance. Patients were followed up immediately, at one week, one month, 2 months, and 3 months following treatment, and progress was measured with a series of standardized scoring systems. and 15 patients (78.95%) at 3 months. Please see these updated articles on the use of Platelet Rich Plasma and stem cell therapy for Rotator Cuff and other shoulder problems. Another problem that can be addressed with PRP is frozen shoulder, medically referred to as adhesive capsulitis. In this article, we discuss PRP alternatives to surgery for glenoid labral tears. Will Platelet rich plasma therapy work for me? Our paper on the Platelet Rich Plasma PRP Injection Technique printed in the Journal of Prolotherapy provides the basic information on PRP’s use as an effective proliferant for Prolotherapy treatments. An experienced Prolotherapist can use PRP Prolotherapy in a safe and effective way to heal common joint injuries. One common issue occurring in the PRP field is that a number of practitioners are performing solely PRP, and not using dextrose Prolotherapy to address the underlying joint instability that most likely led to the injury in the first place. Comprehensive Prolotherapy involves not only providing growth factors for healing and/or cartilage regrowth, but addressing the underlying cause of the problem. Our study on the use of PRP Prolotherapy for the treatment of meniscus tears published in Practical Pain Management discusses the comprehensive approach and shows how its use lead to surgery avoidance in an otherwise typically surgically corrected medical problem: meniscus tears. 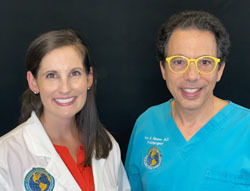 As with any medical procedure, its success is determined by the experience, compassion, and technique of the practitioner providing the treatment. Platelet rich plasma used for injection is no different. 6. “Platelet-rich plasma promises pain relief and healing, but remains controversial” Orthopedics Today. Web. April 2013. Accessed April 29 2013.